A lovely quirky botanical gift for your family or friends or even yourself ! 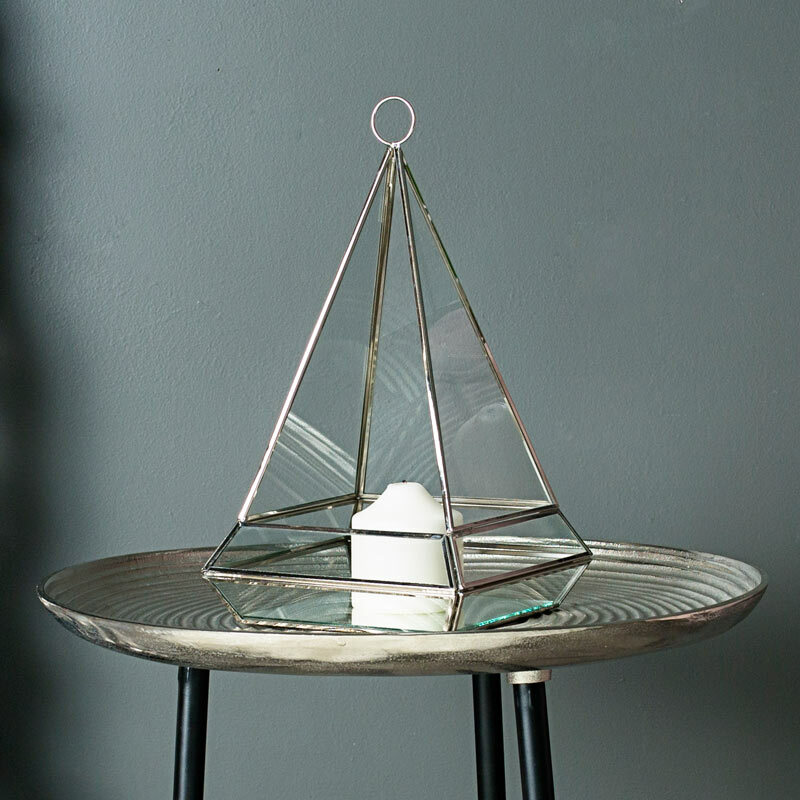 Constructed with a metal framework in a polished silver finish with glass panels and mirrored base. Metal loop on the top for hanging or can be used freestanding. Create a home that shows of your personality and sense of style. We have a wonderful range of home accessories that will help you to find that perfect gift for a loved one, family or friends.